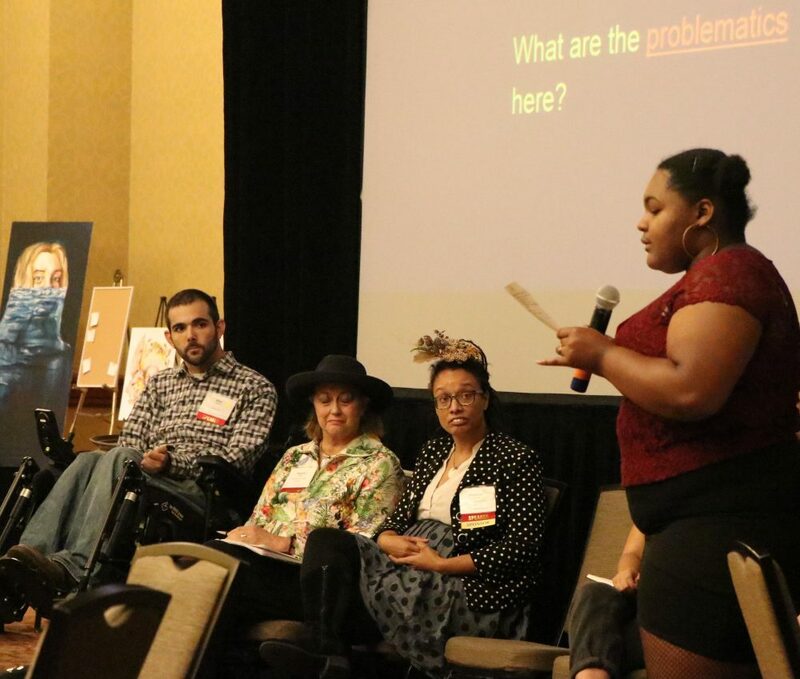 Far from paralyzed, many of the scientists, planners, and community organizers were at the three-day conference to take action. Dana Murray, a voluble new environmental sustainability manager for the southern California city of Manhattan Beach, was there to learn more about tools and resources for the city’s sea level rise vulnerability assessment she is spearheading. Philip Gibbons, a program manager at the Port of San Diego, came to learn about decision-making under uncertainty. 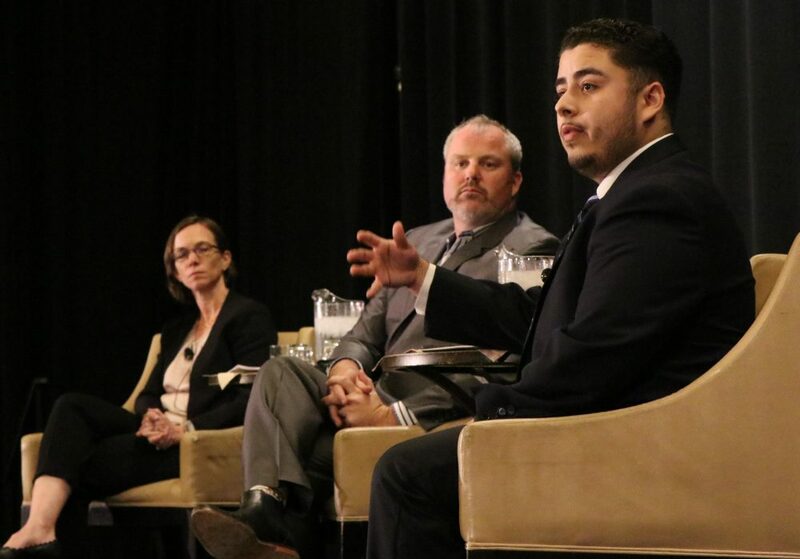 Christina Snider, the tribal advisor to Governor Brown’s office, spoke on a panel to represent the voices and needs of native Californian tribal members in climate adaptation. The presentations ranged from wonky to practical, from session topics on the minutiae of how to codify climate adaptation into local government, to financing natural infrastructure, to restorative climate resilience for communities. 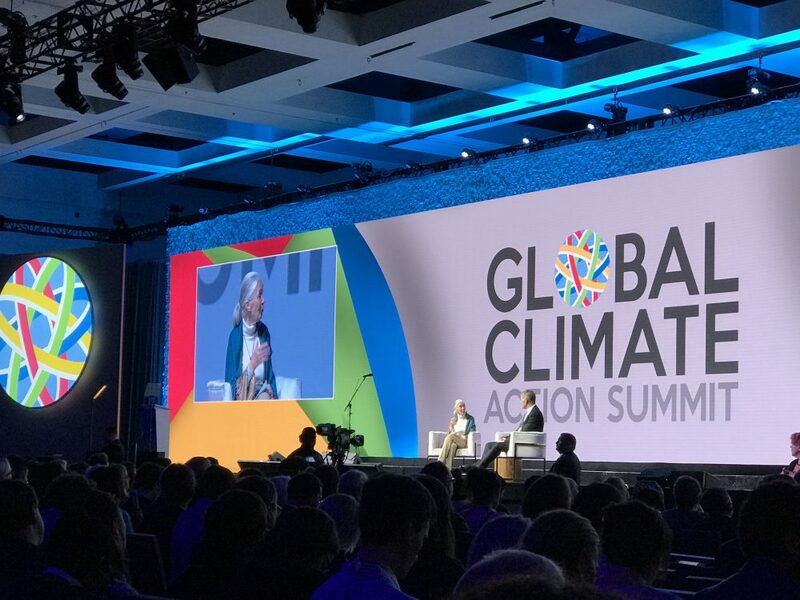 Participants assiduously took notes and earnestly discussed climate impacts and solutions as they shuffled between 75 distinct sessions amidst the climate-conditioned Sheraton ballrooms, while Sacramento sweltered outside. “It’s like trying to drink out of a firehose,” commented one attendee on the dizzying amount information. 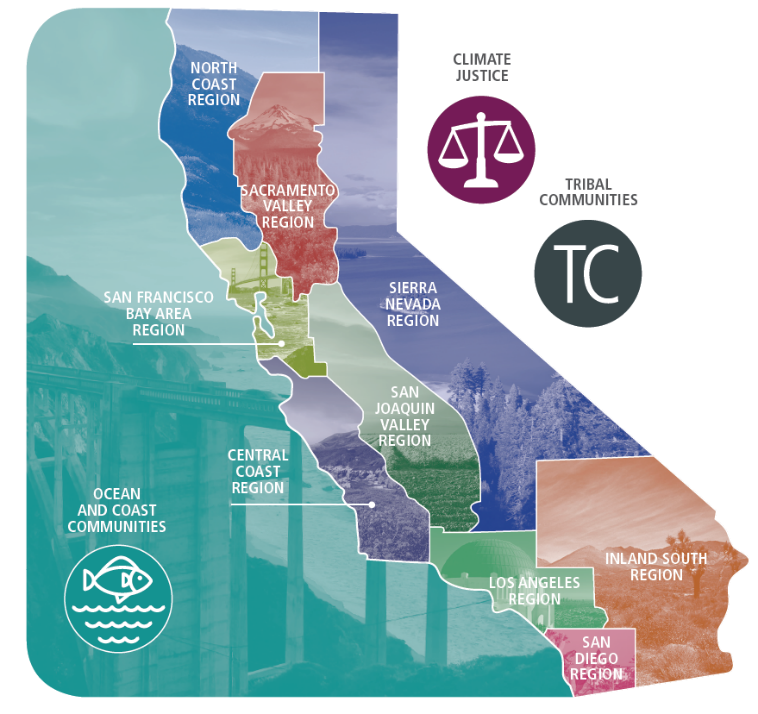 The forum’s first day coincided with the release of California’s fourth climate assessment, a statewide report summarizing the best available science on what Californians can expect in the state’s future climate (see “Hot and Cold Results” side story at right). In a nine-person panel, academics ranging from UC Riverside to UC Berkeley discussed findings for California’s nine regions and for the state overall – such as how future wildfires will burn 77% more area than today, how the average water supply from the Sierra snowpack will decline by two-thirds by 2050, and how downtown Fresno will go from about four extreme heat days (defined to be above 106.6 Fahrenheit) per year today, to 43 days per year by 2100 if emissions aren’t reduced. “If the Paris climate agreement comes to pass [these impacts] ease off a bit, but suffice to say adaptation is in our future,” said Dan Cayan, a climate scientist at the Scripps Institute of Oceanography and one of the assessment’s lead coordinating authors. Many speakers at the forum highlighted the urgent need to begin preparing for impacts already being felt today. California Ocean Protection Council executive director Deborah Halberstadt opened her presentation on coastal flooding with pictures of Hurricane Harvey, and deliberately mentioned the near 3,000 people dead in Puerto Rico from Hurricane Maria. “It’s easy to get lost in the sea level rise jargon on projections,” she said. “But I want to emphasize what we are talking about is extreme flooding and its human impacts.” Sheridan Enomoto, from the Bay Area’s Greenaction environmental justice organization, spoke eloquently about how sea level rise and flooding of contaminated land at Bayview Hunter’s Point threaten the health and safety of the nearby low-income community. But few spoke as forcefully as James Gore, Sonoma County’s 4th District Supervisor representing much of the Santa Rosa area charred in the Tubbs fire last year. Some of the loudest applause went to Kat Taylor, the CEO and co-founder of Beneficial State Bank. In the forum’s closing plenary panel on financing resilience, the tattooed and backwards ballcap-wearing Taylor garnered repeated cheers with her rapid-fire rejection of the capitalist banking system and its role in our unsustainable system and unstable climate. Pala Bird, Audrey Carver & Pala Little Feathers, 2016. 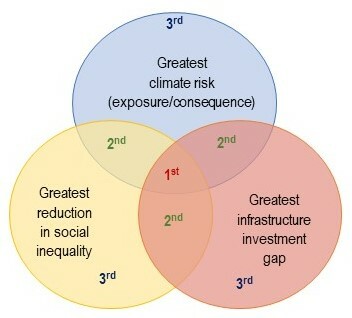 Courtesy Art of Change. 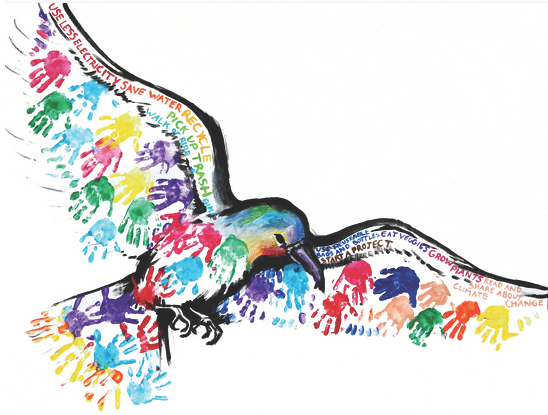 An oft-repeated mantra across the climate adaptation practitioners was the need for everyone to come together to tackle climate change and protect those in its path. 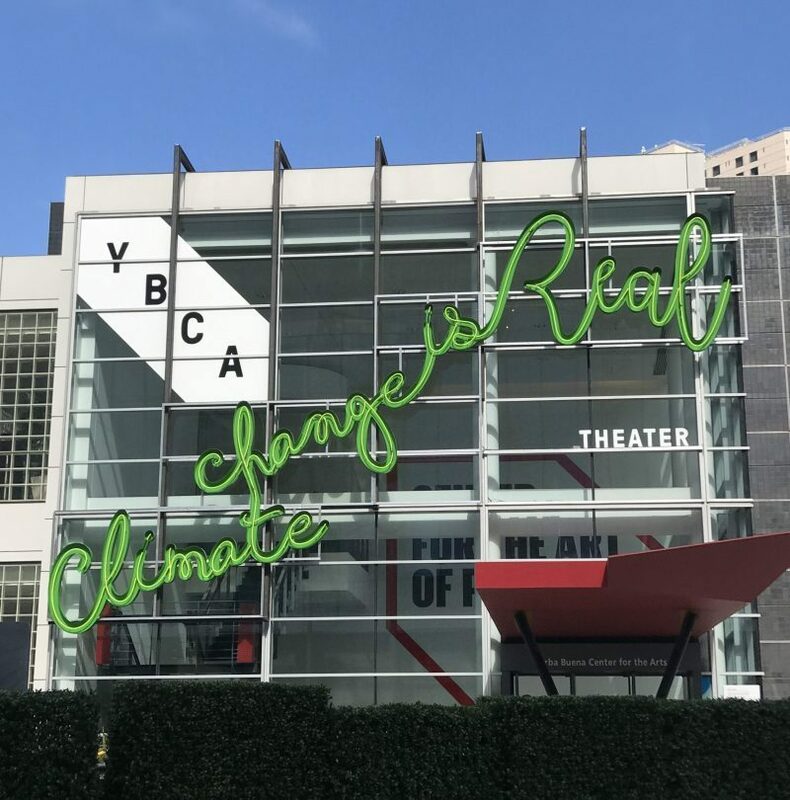 However it was easy to see that for some, there is still a long ways to go in order to include all Californians in the effort to adapt to climate change. 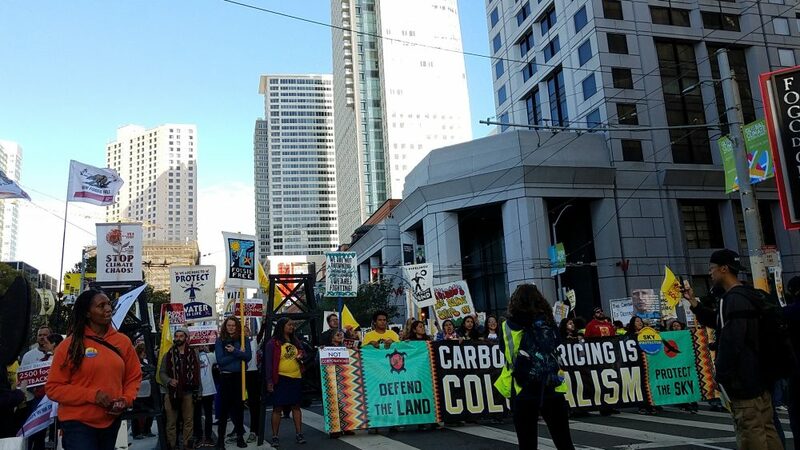 “As California Indians, we are largely invisible,” said the governor’s advisor Christina Snider, pointing out that native tribes have generations of knowledge living with changing environmental conditions, yet often aren’t deemed experts or involved in adaptation. At a youth-led session on restorative climate resilience for communities, a dozen or so people discussed the colonizer implications of referring to communities as vulnerable to climate and noted in frustration how many people had left the room in order to wander to other sessions. At the panel discussion of California’s regional climate impacts, Francesca Hopkins of UC Riverside asked the hundreds of attendees how many were from the inland Imperial Valley region that she focused on – and pointed out to the audience that the only ones raising their hands were her collaborators. Despite the long path ahead, there was no shortage of inspirational examples of disparate actions, large and small, that Californians are doing today to make the state resilient. Up in Humboldt Bay, Ryan Bartling from the California Department of Fish and Wildlife formed a partnership with the local Wiyot tribe in order to monitor ocean acidification and its impact on the locally important oyster population. Lucas Zucker from the Central Coast Alliance United for a Sustainable Economy told how his community successfully fought to prevent a new shoreline fossil fuel power plant near Oxnard. Beneficial bank’s Kat Taylor pointed out that her institution pays employees 150% of their area’s living wage. Beverly Scott, CEO of Beverly Scott Associates, Parker Infrastructure Partners, noted that Vallejo was the first city in the country to establish true participatory budgeting (in which community votes govern a portion of public spending), and is now on its sixth round. 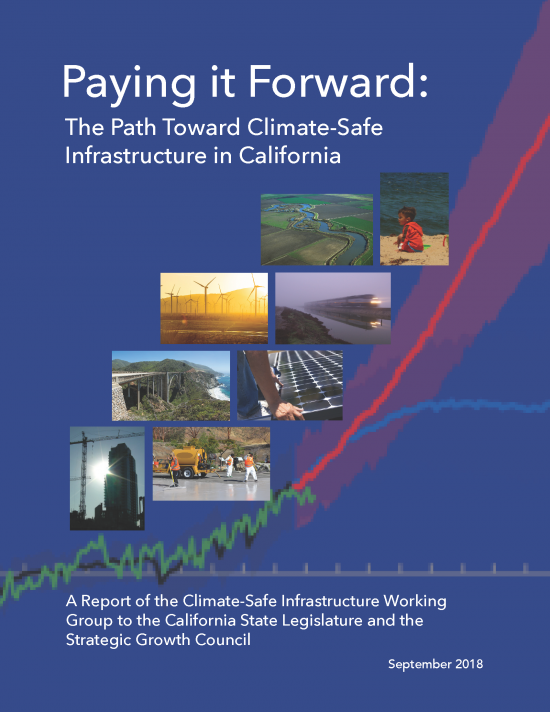 Many pointed to various California state policies and executive orders mandating inclusion of climate change and adaptation in public planning and investment. “It’s really exciting to see the work that’s already being done, and how we can lift up those solutions,” said Julia Kim, a senior project manager with the Local Government Commission and one of the principal organizing forces behind the forum. 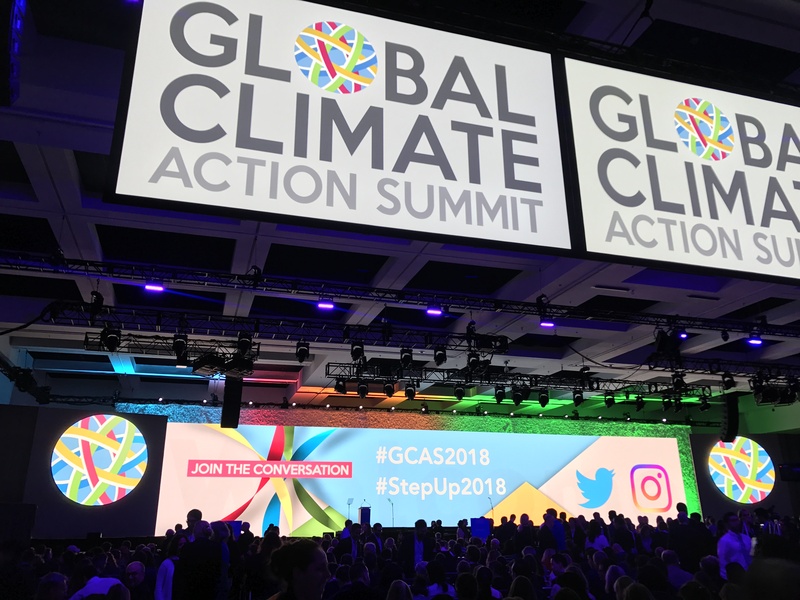 At the forum –the first affiliate event for September’s star-studded Global Climate Action Summit (see “Hothouse Earth” sidestory above right for the Editor’s Perspective) — many of the anonymous climate professionals working on the ground to protect California remained optimistic. “Honestly, I consider myself very hopeful when it comes to [climate adaptation],” said Philip Gibbons. “If you look at the San Diego skyline 80 or 100 years ago; it’s very different than what it is today.